Be gentle as a fish, be sweet as sugarcane. It is during my fourth month in my work as a training officer in a development institution that I was sent to the island of Negros, specifically in Negros Oriental. My primary objective was to train our clients for a possible additional source of income. All of our participants are women, both single and married, since it was one of the development institution’s goal to empower the women sector. My first destination in the province was the city of Dumaguete where the airport is located. Dumaguete City is the capital of the province of Negros Oriental and the biggest city in the province with a total land area of 33.62 km2 and a total of 30 barangays. Also, the city is termed as “the city of gentle people” because the Dumaguetenos (as the people living in the city are called) take pride in their being gentle and well-mannered behaviour. This behaviour was something that I personally witnessed especially during those times that I commuted using tricycles. 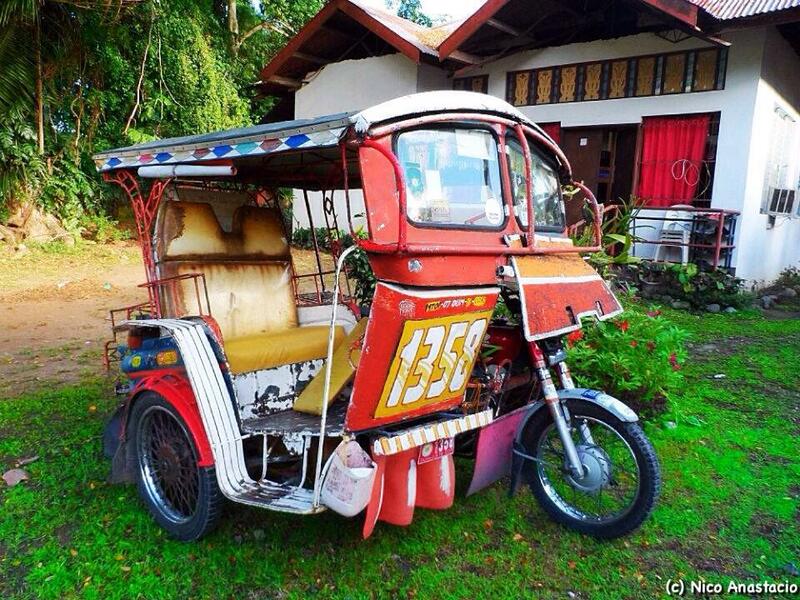 One major impression I have on tricycle drivers is their tendency to be usurious especially when they know that the person was not a local in the area. But in Dumaguete City, it was not something that I experienced, even for once, and I actually noticed since I just went to eight different provinces prior to my trip to this city. The belfry stands about 9-storey high and located around the city’s plaza. One interesting thing about the belfry was that it served as a hilot (Filipino-style massage) area and there were many different kinds of healing herbs and talismans that could commonly seen in Baclaran or in Quiapo (Manila). 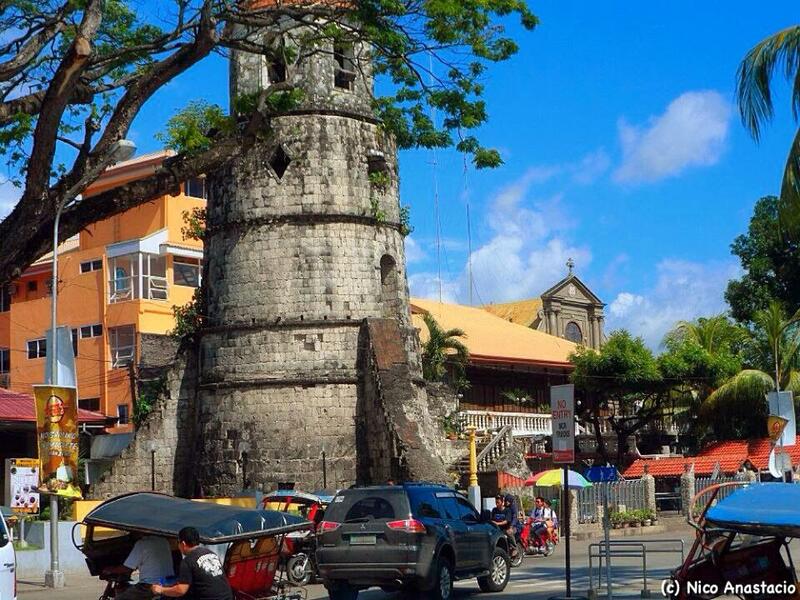 The belfry was built in 1811 and served as a protection against pirate attacks. 2. 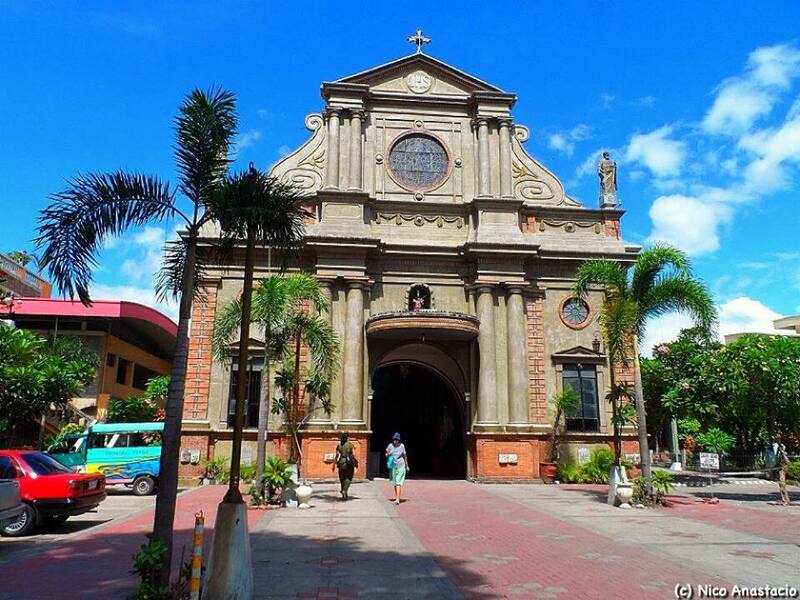 St. Catherine of Alexandria Cathedral. Standing next to the belfry is the city’s cathedral. When I first saw the cathedral, I thought that it was a very new church which was just recently built since it looks like a modern church basing on its facade. But it was actually built the same year as the belfry. 3. Sans Rival Cakes and Pastries Restaurant. 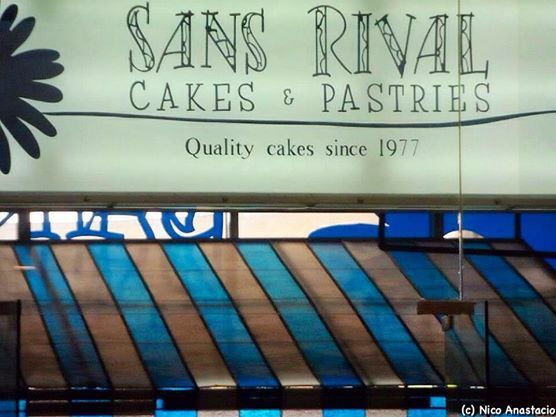 Sans Rival Cakes and Pastries Restaurant signage. When I told a friend that I will be visiting the city, she told me that I should try eating in this restaurant since she told me that it was one of the famous restaurants in the area. It was very famous for its sylvannas (a pastry with cream filling and oftentimes serves cold). I tried one of their pastas and salads and they were good. 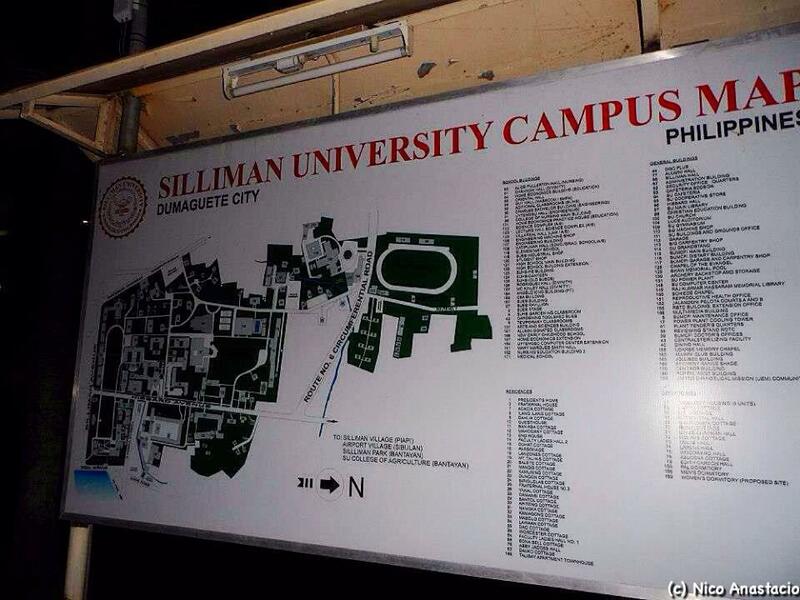 Campus map of Siliman University. Since my friend who accompanied me in my stay in the city was a med student in Siliman University, she also toured me around the campus. As went around the campus, I felt like I was just walking around the UPLB campus because of the combination of old school buildings and high-rise trees within the campus. The university is considered as the oldest American university in Asia, as it was established in 1901 (e-philippines.com). I spent around 2 days in the city then went straight to other provinces to reach my quota. Although I was not able to go on nature tripping around the area because of the limited time and budget, I was able to enjoy my time roaming around the city of gentle people. When I left, I took only pictures, I left only memories.